Living… forever. At least, until someone succeeds in thrusting a stake through his heart. Yep, you guessed it – Mitchell is a vampire. He’s been alive for 116 years and counting. Currently, he is living in Bristol with his two best friends: George Sands, a bumbling werewolf, and Annie Sawyer, a sweet and friendly ghost. Profession… hospital cleaner. Mitchell’s job doesn’t pay much, but it allows him to keep a low profile. Well, sort of. Seeing as he’s quite a looker, Mitchell attracts a lot of attention from female employees. Most other men would be happy to garner that much interest, but not Mitchell. It just makes weening off blood much more difficult. Interests… watching Laurel & Hardy. Mitchell absolutely loves them: “They’re like the funniest men who’ve ever lived.” He has many of their acts on DVD stored in his room and tries to educate those who aren’t acquainted with the old-time comedy duo. Relationship Status… it’s complicated. Women really like Mitchell. And Mitchell really likes women, but mostly because he sees them as a source of food. Despite trying his hardest to resist blood, Mitchell still ends up hurting his lovers. He converted Lauren Drake, his most recent fling, into a vampire and he’s absolutely furious with himself. Challenge… trying to stay on the straight and narrow. Mitchell is attempting to break away from his violent past and has sworn off blood. Unfortunately, he keeps relapsing. The fact that Herrick, his former partner, keeps turning up to drag him back to the dark side doesn’t help. John Mitchell's popularity ranking on CharacTour is #1790 out of 5,000+ characters. See our top-ranked characters and read their profiles. Being Human is a British supernatural drama television series. It was created and written by Toby Whithouse for broadcast on BBC Three. The show blends elements of flatshare comedy and horror drama. 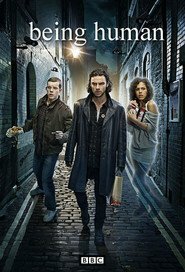 It originally starred Lenora Crichlow as Annie Sawyer, Russell Tovey as George Sands and Aidan Turner as John Mitchell — all of whom were sharing accommodation and attempting as best as they can to live a "normal" life and blend in with the ordinary humans around them. In the third series, Sinead Keenan became part of the main cast as Nina Pickering. In the fourth series the ensemble was joined by Michael Socha as Tom McNair and Damien Molony as Hal Yorke. The fifth series added Kate Bracken as Alex Miller. The first two seasons were set in Totterdown, Bristol, and the third season onwards relocated to Barry, Wales. On 13 March 2011, series creator Toby Whithouse announced that Turner had left the show and that new characters would be introduced. On 11 November 2011, Russell Tovey announced that he was leaving Being Human after the first episode of Series 4 to work full-time on his other show, Him & Her. Furthermore, Keenan announced on 9 January 2012 that she had not filmed any scenes for series 4, and would exit the show off-screen.